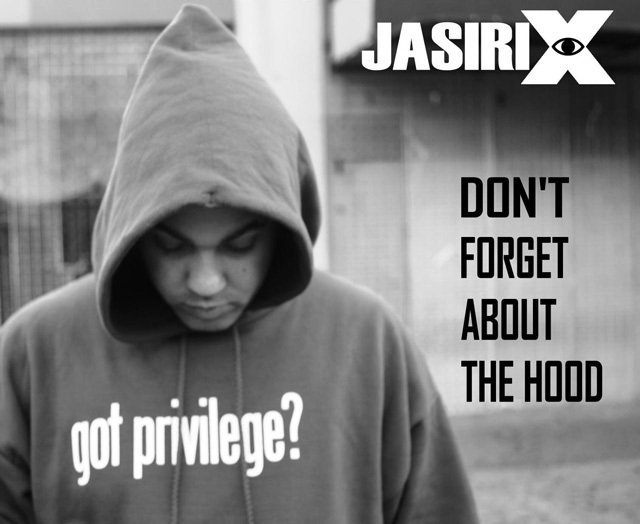 Real Talk: You can always count on Jasiri X to address serious issues one bar at a time. If you've been following my blog the past few years, you can't help but bear witness to this. He's been frequently profiled on Brother Jesse Blog. Well after three debates, with only a passing mention of the violence in Chicago by the President, Jasiri X felt someone had to say something on behalf of the poor and inner city communities. Thus his latest release "Don't Forget About The Hood." "And yes I know that Mitt Romney has basically written off anyone making less than six figures, but why is Iraq, Afghanistan, and Libya more important than 46.2 million people who live below the poverty line right here in America?" he asks.